It has been said that your biggest competitor isn’t your competitor: It’s apathy. That’s because it’s easier to do nothing than to make a change, even if you aren’t happy with your current widget. This willingness to settle for what is rather than try to make things better applies to everything from deodorant to lawn mowers to accounting software. It’s a case of the devil you know vs. the one you don’t: We humans are usually more comfortable with the devil we know. That’s why it’s okay to sometimes talk about the stuff that hurts in your email copy. 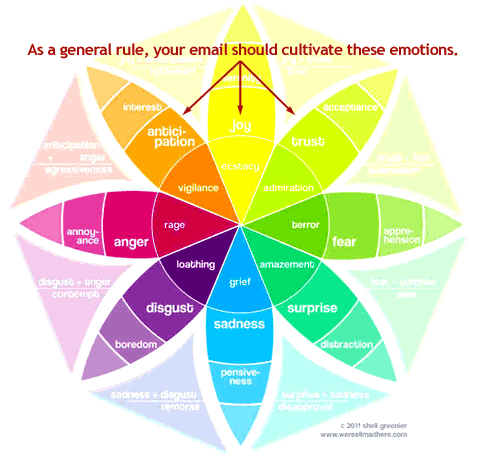 Many marketers want to avoid appearing negative in any way in their email content, but that’s actually riskier than being willing to call out pain points. After all, if you don’t point out that there’s a problem, how can you suggest that there’s a solution? You have to raise a little doubt in the mind of the prospect. Let’s take deodorant as an example—not because deodorant gets marketed by email (at least not the deodorant I buy), but because the principle applies no matter the product. We can extol the virtues of this deodorant, telling them how great it is, how long it lasts, how good it smells, how cheap it is, etc. Anyone who opens this email likely already has a stick of deodorant sitting on his bathroom counter and it works just fine, thank you very much. So why change? Sure, that other brand sounds good, but what a hassle to go buy a new brand when he already has the other one that works “good enough.” We stick with the positive that so many marketers want, but were we effective? Or we can risk being negative. We can use fear, and warn these men of the dangers of inadequate deodorant. For example, we can paint a picture of being on a first date or in an important meeting with a slight stench coming from one’s armpits because his deodorant wasn’t up to the task. We can talk about the poor impression he’ll make on someone if he stinks, and the assumptions people will make about his personal hygiene. Then, we can talk about how our brand of deodorant is X times stronger than the next leading brand and lasts X times longer, suggesting that it’s worth it to buy our brand and not risk the consequences of another. Apathy is an issue for just about anyone in marketing, because it’s always going to be easier for someone to stick with what they’re buying than to switch to what you’re selling. Being willing to risk a little negativity in your email content might be just the thing to nudge that prospect a little closer to buying your brand. I used to drive past a tree-trimming company that advertised their business with a huge banner saying “Are your trees safe?” All of the thousands of us that drove past that business each day were likely all thinking the same thing: Yes, they are. What the banner should have asked is, “Are your trees dangerous?” Now that’s raising doubt…and it’s a lot more likely to get someone to call and arrange for an assessment of their trees. Positive vs. negative. Use the one that works. The inbox is a tough place. People get a lot of emails each day. It’s a cutthroat competition amongst businesses to get attention. One way businesses are getting attention is to be fun or a little quirky. But for some businesses being fun doesn’t come easy. Maybe the brand isn’t fun and exciting or maybe you are just conservative by nature. In order to compete and win over customers you need to stand out. Let’s look at a few ways companies are having fun with email even if they aren’t fun themselves. Lee Jeans had a little fun with this Facebook competition. It’s a fun play on words. When we laugh we feel good. It’s a physiological reaction to be in a good mood when something makes us smile. 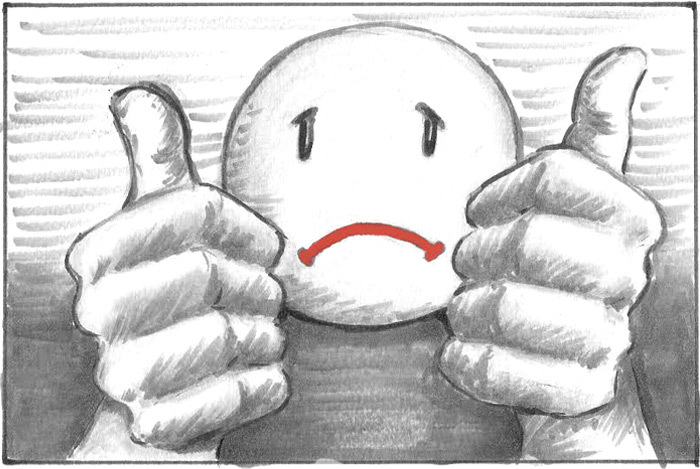 Since buying is an emotional experience it’s good for you if your subscribers feel good as a result of humor. A funny play on words can make people stop and give extra thought to your email. They’ll smile and those positive vibes will translate to brand recognition and more sales. 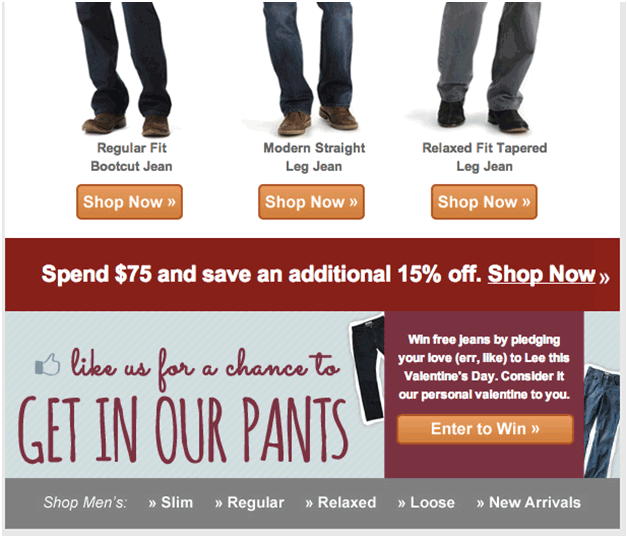 Horizontal email designs are becoming more common like this recent example from Fossil. You probably have a template for your email program. When was the last time you tried something different? I’m not talking about changing a few elements or adding in some splashes of color. I’m talking about really changing up the layout with something that will surprise your subscribers. Sometimes it’s good to mix things up and get a little crazy. Horizontal emails are becoming more popular. When I received this Fossil email it stood out. I immediately started scrolling to the right to see what was being featured. It was like there was something hidden. 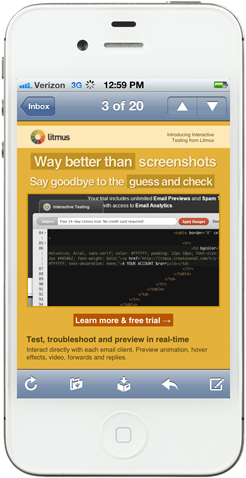 Horizontal scrolling is also much easier on a smartphone or on a tablet. People are used to it so you can use something like this design to change things up and stay fun and hip. Get crazy with your layouts. Go with something horizontal or even thin and long. Surprise your subscribers and have a little fun. Old Navy understands snappy and fun. 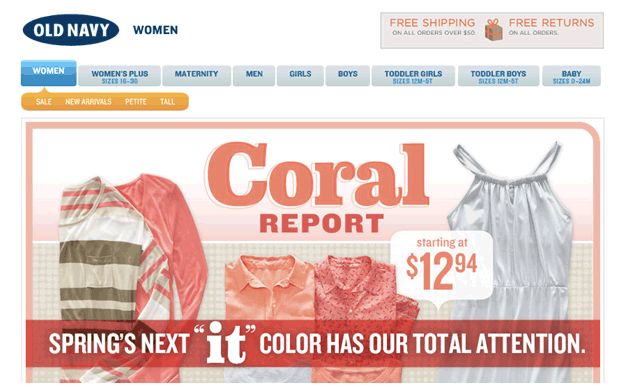 The report on coral is that it’s in and hip for this year. Images aren’t the only way you can have fun with your email. The language you use can be fun. Not only can it be fun, you can make it more enjoyable by being snappy and concise. People respond to short, quick sentences and phrases. We’re busy and we don’t have time to read novels. Be snappy and fun and you’ll get attention. 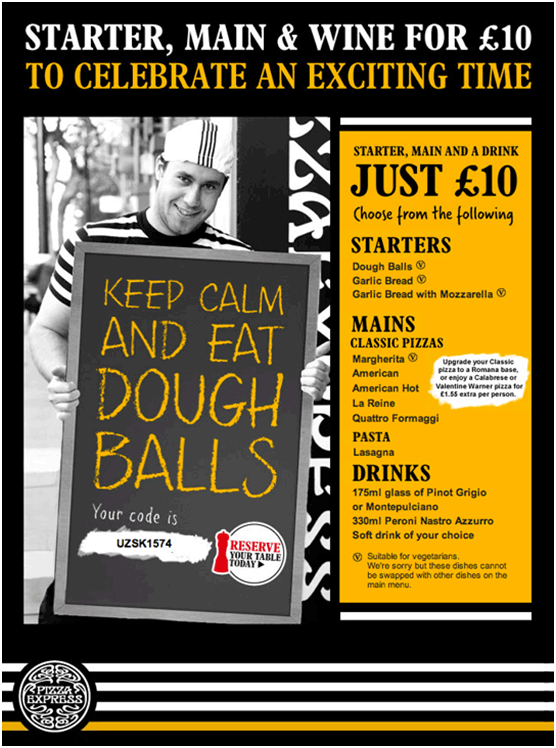 Images Off: Pizza Express had a little fun with the images off. It’s something most marketers don’t often consider with design. Have you ever gotten an email where the images were turned off? 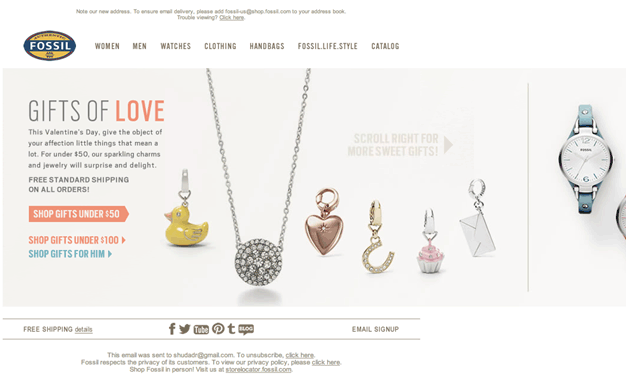 When you’re creating designs for your subscribers you probably don’t think that people spend much time looking at the email without the images. Think of the images off mode in the email as an opportunity to have some fun. 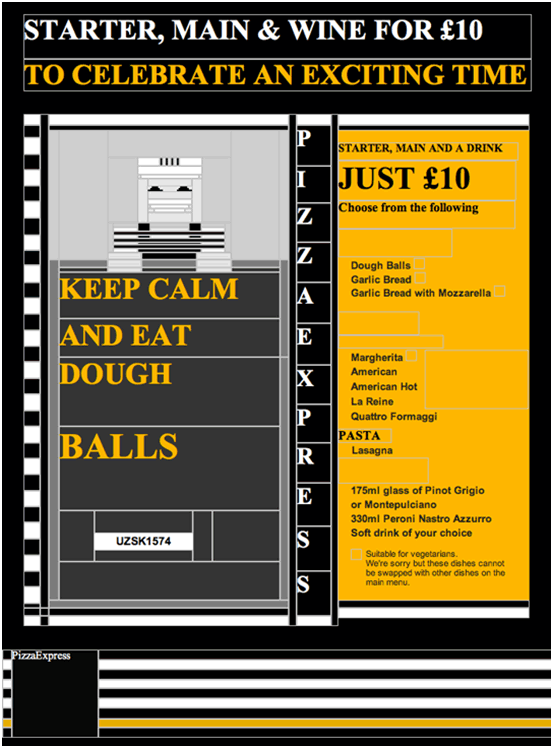 The example above from Pizza Express is a great one. They’re having fun with the images off. People will do a double take when they see it. Surprisingly it’s not always easy to have fun. Not all brands are naturally fun, but there are unique things you can do with design and content to have fun and stand out in the inbox. Try these fun tips and see if you get more response. 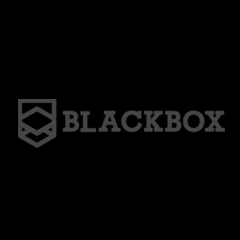 You should stand out in the inbox and get a little edge on the competition. And remember to have some fun!